Let us take the focus away from Nintendo's main protagonist Mario and instead look at the female mascots of the Super Mario Bro. series. Nintendo has ushered up a bundle of colorful and memorable female characters and it's portfolio is nothing short of impressive. Let's take a look at some of the girls shall we.. Originally conceived by Shigeru Miyamoto, Peach is the princess of the Mushroom Kingdom, which is repetitively attacked by Bowser. She frequently plays the damsel in distress role within the franchise and is considered to be Nintendo's main female. She is at times depicted as Mario's romantic interest and has featured in just about all the Mario games in existence with the notable exception of Super Princess Peach, where she's the main playable character. Peach has a love for the color pink, which compliments her feminine attribute and kind disposition. Peach's maidenlike nature and persona as the damsel are often depicted with her heart abilities and Princess emblems. Peach's original look was said to symbolize her stubborn, yet cute, appearance. Peach is rather tall in comparison to other characters. She is taller than Luigi and Daisy, but shorter than Waluigi and Rosalina, it's also worth mentioning that Peach’s design has not been changed as drastically as other girls like Daisy and Pauline. Princess Peach is posh, gracious, smart, and venturesome. She often shows an selfless and imposing spirit and puts her companions ahead of herself. For instance, in Super Paper Mario, Peach says she was taught to aid others. She has been said to have a gentle demeanor but can be hard when the moment calls for it. Peach is also a sports junkie and has been referred to in the Mario Party 5 official guide as being able to "play with the big boys". as well as sports, Peach is also into ball-room dancing and video games. Both Mario Super Sluggers and Mario & Luigi: Bowser's Inside Story indicate that Peach's enjoys a spot of gardening. 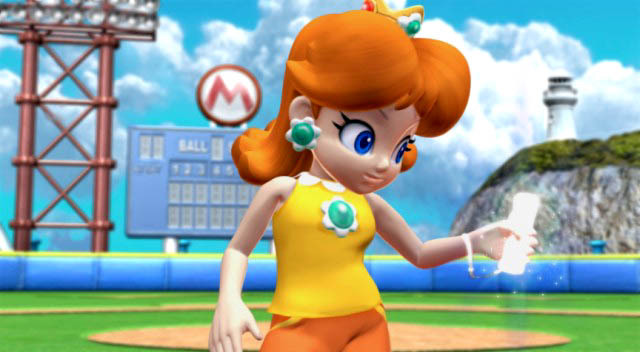 Princess Daisy, or nonchalantly Daisy, is the princess of Sarasaland. Gunpei Yokoi, Shigeru Miyamoto's mentor, is often credited as being the creator of Princess Daisy. Although Daisy rules over Sarasaland, she presently dwells in the Mushroom Kingdom. Daisy is a tomboy, a title given to her in her entry appearance, Super Mario Land. In complement to her name, she loves flowers. Her garbs, special abilities, individualized emblems, and overall representations are frequently flowers too. After an early break, Daisy was brought back due to the fact that there were a lack of human characters in the series. She features most often as a playable character in spin-off titles. She has appeared in over 40 Mario games thus far, and has appeared continuously for more than a decade. We feel Daisy needs to appear in a main Super Mario title because as Super Mario Strikers has shown us, she's a chick with a lot of personality and grace. responsibility is to watch over and defend the cosmos, while also acting as the adopted mother of the Lumas, and overlooking the Comet Observatory. 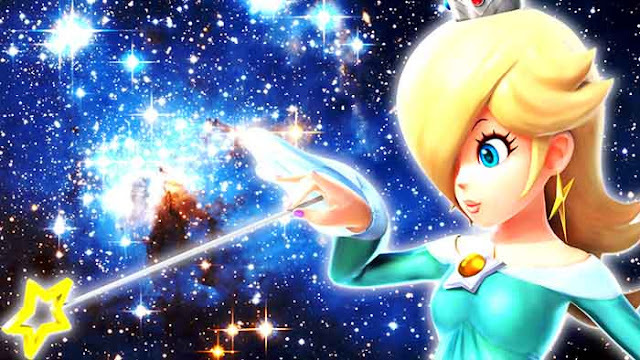 Rosalina's back-story is chronicled in her storybook told by her in the Comet Observatory's Library in Super Mario Galaxy. 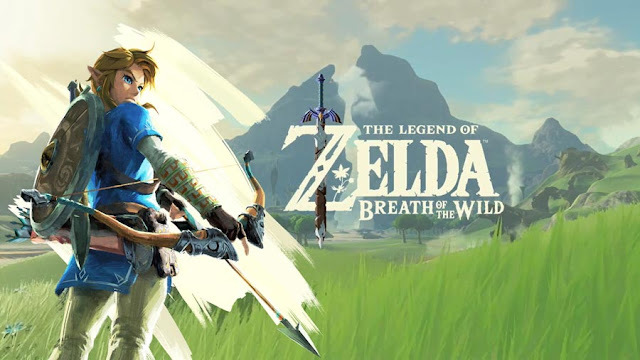 Nine chapters are unlocked throughout the game, and the last is unlocked by completing the game. Rosalina is first playable in Mario Kart Wii, where she's a heavy-sized unlockable character. To get her the player must obtain 1st Place with at the most 1 Star Rank in all Mirror Grand Prix Cups, have a Super Mario Galaxy save data and play 50 Races, or participate in 4,950 Races. Rosalina drives in large vehicles, and is the first girl character to ever be in this class due to Rosalina's tall height. Although Rosalina's look has not been altered since her first appearance, when she was primitively being created for Super Mario Galaxy, her concept appearance was immensely different in contrast to what she looks like now. She was portrayed with a beehive hairstyle along with straight-cut bangs. 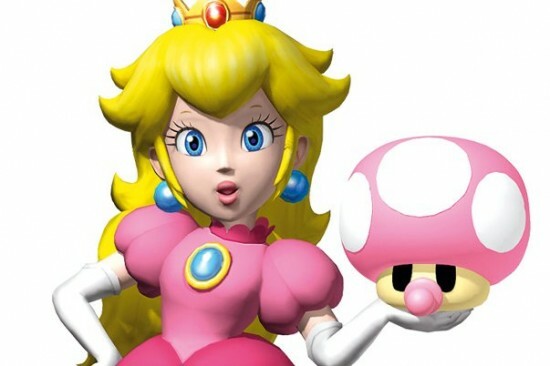 She had more specific facial features including the manner of her eyes and mouth; the facial features she has today are more akin to Peach's. Her attire was more similar to Peach and Daisy's, however, complimenting her now dropped trait as a princess. Instead of a crown, she wore a tiara, and her gloves were just like Peach's.Her last concept artwork pictured Rosalina very similarly to the way in which she is now, though it contained insignificant color variation. Toadette is a recurring Toad in the Mario franchise. primitively introduced as a playable driving partner for Toad in Mario Kart: Double Dash! !, she has since made several other appearances in many games as a playable character and has played supportive roles in Paper Mario: The Thousand-Year Door, Dance Dance Revolution: Mario Mix, and Mario Party DS, and as a main character in Captain Toad: Treasure Tracker. While her traits are akin to other characters, she's the most commonly recurring girl Toad in the Mario series. Toadette is shown to be on friendly terms with characters such as Toad, Princess Peach, Toadsworth and Mario. 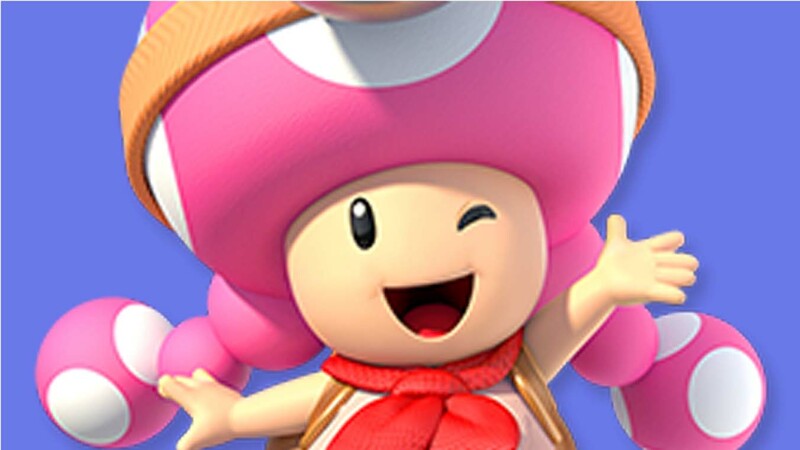 Toadette is usually a happy and cheerful girl. She is depicted as being a pleasant, sensitive character, and she relishes being in other people's company; she has similar attributes to Toad. However, it is shown she can get immature very easily. Without further ado, here's a look at he top 10 best girls in the Super Mario Franchise since 1981 Who's your favorite Super Mario Bros girl? I love Toadette so much, she's so cute and i 'm glad she appeared alongside Toad in Mario kart 8 and Captain Toad on the wii u.
I'm so glad that Princess Peach, Rosalina and Daisy were featured on the list, they are really cool but Princess Daisy needs to be featured in more Mario games other than spin-offs. I don't care what anybody says, Birdo will always be a girl to me. Isn't Birdo the first transgender in gaming? Princess Rosalina is the fairest of them all. Princess Rosalina is so overrated, i'm tired of seeing her in everything. 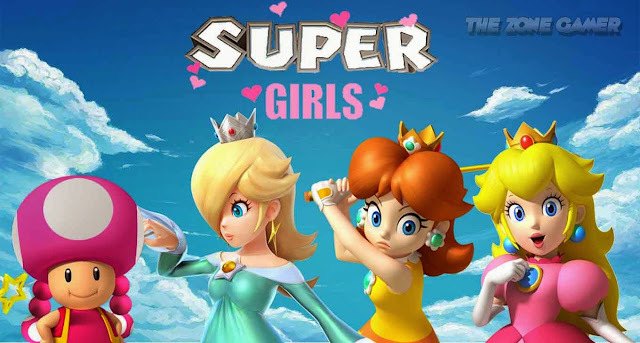 Bet Mario has been intimate with Daisy, Peach, Rosalina and Pauline. Princess Rosalina has taken Daisy's spot and i think that's kinda sad. So Birdo isn't a boy? What type of boy wears a pink bowtie on their head and has eyelashes? Okay then, I personally believe that Birdo is a girl and Nintendo knows it. I would like to see Captain Syrup in a Mario spin-off title like Mario party, Mario Tennis or Mario kart. Dixie Kong, Toadette and Wendy Koopa are my favorite Nintendo girls. Spread the word for Daisy's petition to be in main games! IT's from Change.org if link doesn't work simply go onto the Change site.